The members of the Board of Activities (BOA) work together to ensure that student life at SUNY Orange is both eventful and unique. Our programs provide cultural, social and recreational opportunities for students to have a quality college experience outside the classroom. Members of BOA are exposed to life-long leadership skills including decision-making, effective communication and time management. BOA prides itself in being one of the many proactive components at SUNY Orange dedicated to serving the student body. BOA is open to any student currently enrolled in credit courses at SUNY Orange. Students may enroll in either the Middletown or Newburgh BOA. Meeting are held weekly in the Student Meeting Room, 1st floor, Shepard Student Center @ 3:00 p.m. on Mondays. Come and join us! Meetings at the Newburgh Campus are held on Tuesdays at 2:00 p.m. in the Center for Student Involvement, Meeting Room, located on the basement level of the Tower Building. Stop in and join us! SUNY Orange is a member of the National Association of Campus Activities. NACA's school membership provides colleges and universities with the opportunity to become part of the nation’s premiere campus activities organization. Nearly 1,100 schools from across the country are members of NACA, including large and small institutions, public and private schools, two and four year colleges and universities, and community, junior and technical colleges. All member schools share the desire to participate in an organization that helps them create better programming opportunities for students, providing them with information and programs to help enrich the overall educational experience, while also keeping them up-to-date with the latest in the campus activities profession (courtesy of NACA). NACA is split into seven regions. 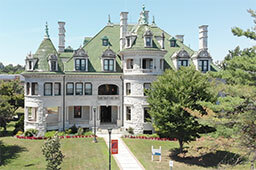 SUNY Orange is in the Mid-Atlantic region along with other schools from New York, Pennsylvania, New Jersey, Delaware, Maryland, Washington DC (and the surrounding metro area) and the Canadian Province of eastern Ontario. Each region holds annual conventions. Active members of the Board of Activities have the opportunity to attend this convention to have a great time while developing leadership skills and attending leadership training workshops.